The negative impacts of deforestation and habitat degradation in the tropics are well described; they include biodiversity loss, reduction of crucial ecosystems services, and major contributions to global greenhouse gas emissions. This last consequence in particular has, in recent decades, led to the creation of major international funding mechanisms such as the United Nations REDD+ scheme which aim to ensure carbon-rich tropical forests remain standing. Funding mechanisms like REDD+ have the potential to make major contributions towards reducing rates of tropical deforestation, but to date their impact has not been as widespread as anticipated. The reasons for this need to be identified if their full potential is to be achieved. Operation Wallacea, a UK-based research organization, runs a network of field sites located throughout the tropics, and has for several years been preparing applications for a number of separate applications to REDD+ and similar funding sources. This talk aims to summarize Operation Wallacea’s practical experiences with processing these various applications. It will discuss the opportunities these funding sources represent for safeguarding tropical forest ecosystems, identify several challenges the organization has faced with packaging data for these applications, and discuss potential ways in which carbon offset-based funding platforms could become more accessible and efficient in the future. Dr Tom Martin is a zoologist and conservation biologist at Operation Wallacea. 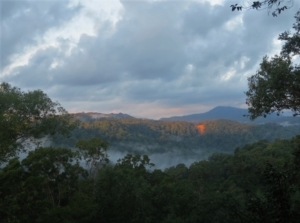 He has a long-standing interest in the endemic-rich tropical forests of South-east Asia and Mesoamerica, as well as the impacts anthropogenic disturbance has on the biodiversity of these regions. He currently administers the science programme at Operation Wallacea’s field site in the cloud forests of Cusuco National Park, Honduras. He has also been involved in processing large-scale biodiversity and habitat structure datasets to support REDD+ funding applications both in Honduras and Indonesia.